In every week leading up to the 2015 FIBA Asia Championship, tipping off on September 23, your resident Asian basketball addict will be ranking the 16 teams bound for Changsha, China, based on their respective player compositions and preparations for the biennial tournament. Though these rankings are entirely the opinion of one man and have no mathematical or theoretical grounding, keep in mind that player injuries, eligibility issues, training camp reports, and pre-tournament game results will all have considerable impact. - Fresh from dominating the 2015 Willian Jones Cup in Chinese Taipei, Iran has taken a short break before plunging into their final leg of preparations for the 2015 FIBA Asia Championship. Samad Nikkhah Bahrami is reportedly back in the fold, and coach Dirk Bauermann’s final 12-man roster looks solid from top to bottom. If you find any weaknesses on this team, please do let us know. - China had a couple of surprised in its final 12-man roster, calling up Li Muhao and Guo Ailun, who were part of their Team B a few weeks ago. In exchange, favorites like Liu Xiaoyu, Yi Li, and Zou Yuchen lost out and will miss the 2015 FIBA Asia Championship. Still, coach Gong Luming has a pretty formidable team, and definitely the biggest one out there, what with four guys standing around 210cm tall! - The Filipinos appeared to continue their steady improvement, sweeping the recently-concluded MVP Cup right at home in Manila. They repeated over New Zealand club team Wellington Saints and Asian rival Chinese Taipei en route to their first formal title as a team. Now they’ve secluded themselves in the city of Cebu to get away from the maddening crowd and enter the final phase of training for the big tournament. - Despite a rough start to their training about a month ago, the Jordanians have more than made up for lost time. They just concluded their participation in a 4-nation pocket tournament in China, where the team won all but one of their matches. Now they are in Manila for a few more tune-up games against some PBA teams even as stalwarts Sam Daghlas and Zaid Abbas are also joining them. With an almost complete cast (promising big man Ahmad Al-Dwairi cannot join the team), coach Rajko Toroman looks to be readying a clear contender for the Asian crown. - The Taiwanese drop one spot after failing to win a single game in the MVP Cup, even losing to club team Talk N Text. Still, it’s worth saying that the team’s top two natural-born players, Lin Chih-Chieh and Tseng Wen-Ting, didn’t see action. With that pair rested for the big tournament in Changsha, look for Chinese Taipei to flash better form and contend strongly for a spot in the top four. - Team Hayabusa took a short break right after the Jones Cup, but they are back in full training mode as the FIBA Asia Championship nears. The team looks healthy and though they will certainly be short on ceiling, Japan will not be found wanting for scoring punch in the backcourt. This should be one of the most fun teams to watch in China. - The Kazakhs’ training camp and series of tune-ups in Lithuania are expected to boost their chances to advance out of the Group of Death. A healthy Jerry Johnson is expected to lead the charge together with veterans Anton Ponomarev, Dimo Klimov, and Dimitriy Gavrilov. Upstarts Anatoliy Kolesnikov and Pavel Ilin are ones to watch as well. - The Qataris are neck-deep in training camp, though not much has been written about them. 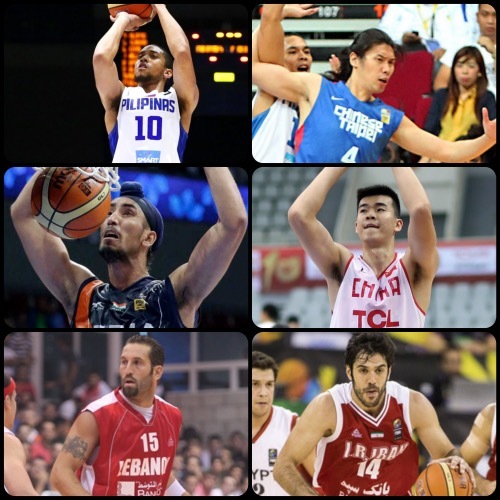 The roster that they have sent to FIBA Asia is chock-full of veterans, but laden with a sprinkling of young talent. Without Yaseen Musa, there is still a leadership vacuum in this squad, but guys like Khalid Suliman Abdi and Daoud Musa Daoud should be able to step into that role with ease. - After the William Jones Cup, Korea was hit with injuries and controversy. Ha Seung-Jin and Yoon Ho-Young are both officially out of the final 12 because of various ailments, while spitfire Kim Sun-Hyung has been embroiled in a game-fixing investigation. This left coach Kim Dong-Kwang no choice but to call up three youngsters from Korea’s collegiate ranks as the team scrambles for one final training camp before flying to Changsha. - Lebanon haven’t had a proper series of tune-up games, and now it has been confirmed that Fadi El Khatib will not join them in Changsha. Meanwhile, naturalized player Loren Woods has also been replaced by explosive wingman Jay Youngblood. All these changes and developments have hampered and distracted the Cedars, who will be hard-pressed to advance out of a very tough Group D.
- Two of India’s top three players (Amrit Pal Singh and Amjyot Singh) have been called up to join the Tokyo Impulse of the Japanese NBDL. That’s a huge step for a country with no professional league of its own, and it should bode well for the fitness and development of both Amrit Pal and Amjyot, who are set to join Team India when they compete in Changsha. India are dark horses, sure, but, on a good day, they can beat even a top-level team (just ask China). - Though Palestine has been seeing itself on the short end of final scores the past couple of weeks, it’s still worth noting that they haven’t shied away from competition. With a relatively healthy and complete roster, this team should not be overlooked by any opposing squad in Changsha. - This competitive and perhaps underrated team should benefit greatly from its series of tune-up games in Manila, but that still won’t address their biggest problem — the lack of size. This team reportedly has just one player standing taller than 196cm (6ft 5in), and suffice to say they’ll find it tough against bigger teams like the Philippines and Palestine in Group B. - Not much is coming out of Hong Kong about preparations for the FIBA Asia Championship, so it’s reasonable to suspect that they won’t fare as well as they did in 2013, when they managed to advance to the second round. Even if they bring in guys like 204cm (6ft 9in) Duncan Reid, Fong Shing Yee, Lo Yiting, and Lee Ki, it’ll be tough for this squad to make any sort of splash in China. - Unbeknownst to many, Malaysia were the second-best team in the 2015 SEABA Championship, and though they’re young and raw, the Malaysians are still hoping they can perhaps spring an upset or two. To say that it’s highly unlikely, however, is quite the understatement. 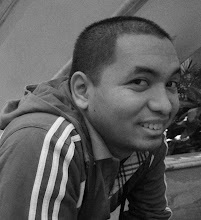 - Coach Neo Beng Siang is ruing the fact that he can barely have enough people to have a scrimmage in practice. This team was very far from being the strongest already, but hampered training camp only serves to make things worse. Stalwarts like Wei Long Wong, Desmond Oh, and Hanbin Ng may impress in spurts, but don’t expect them to do much else. Here is version 1.0 of the Pre-Tournament Rankings. Here is version 2.0 of the Pre-Tournament Rankings. Here is version 3.0 of the Pre-Tournament Rankings.